We’re no stranger to the what if’s that cloud our minds at night about childhood – the things you should have and could have done. You, as a parent, might be able to relate to this and wouldn’t want the same regrets in your kids’ minds 30 years from now. Girl or boy, your kid shouldn’t miss out on the joy of playing soccer if only to confidently eliminate it from their checklist of things to try. We’ve reviewed some of the best youth soccer cleats to at least make the experience one of the best childhood memories for them. ​Kids can get away with wearing regular sports sneakers for playing soccer up until a certain age. But, youth soccer cleats will still give them a different and most likely better playing experience. However, blindly picking one without first researching is still a risk. This is because youth soccer cleats may not be the easiest to shop for. We’ve picked 5 best of youth soccer cleats to ease your decision making. 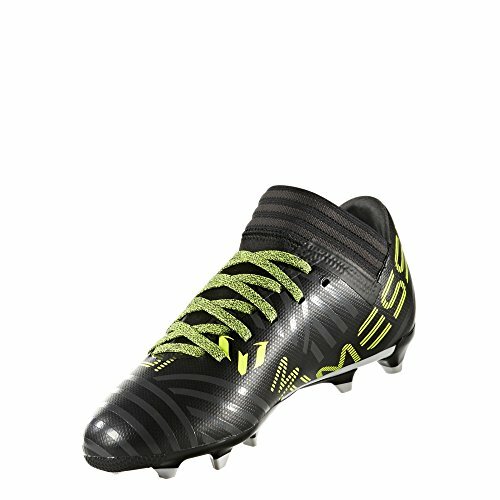 ​The ​adidas Kids’ Nemeziz Messi 17.3 is the version of the highly-reputable soccer cleats for the youth. First off, it’s named after the impeccable professional striker Messi, one whose incredible play is recognized all over the world. Modeled after his footprint, the shoes promise the agility and accuracy that is very evident in his style of play. The Nemeziz Messi’s popularity across every age group of soccer shoes for kids to men qualifies it as one of the best soccer cleats overall. Such a soccer cleat might feel like too much for a kid, but if professional soccer is in their path, this one packs up all they might need to help them get there. The synthetic mesh of the shoes gets much credit for a lot of good qualities the Messi 17.3 possesses. For one, it’s called Agility Mesh for the accuracy of the ball touch. It’s able to quickly manipulate the angles and directions where the ball goes. This allows a kid to perform liquid movements their opponents would never expect. The same material graces the sole, made especially with equally distributed crystal-shaped studs. The focus, though, is on the heels and the toes. This makes it a pretty versatile shoe, as it aids them both for striking and for quick turns when defending. Beyond the performance aspect of the shoes, what’s most appealing about this is the dual lock collar. It addresses a major concern of parents when it comes to kids’ shoes: the fit. The laces are fixed on the forefoot. This will be convenient for kids who don’t know how to tie their shoelaces yet or are just don’t want to be bothered to fix them up every time. The sock-like lock collar makes it easy to put on while securing the feet into the shoes. The breathable mesh along with the easy dual lock opening of the shoes will prevent any fit problems for your kid’s feet. This is especially true if you leave out at least half an inch of gap on the toes. 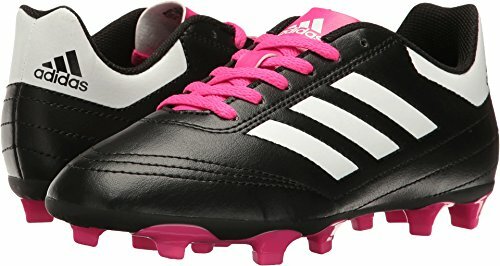 As these shoes were inspired by one of the best male soccer players, this might be a choice that would be the best cleats for boys. Accurate and powerful, this shoe​ was made for ​superior performance. ​The first thing you might notice about the ​Under Armour Kids Unisex Force 3.0 FG-R Jr. Soccer is the flawless design that makes it look as professional as those worn by major league players. It’s not lacking in looks and comes in two bright color choices, which could immediately attract your kid. What might appeal to the parents, however, is the quality it encompasses in its fairly small construction. According to Under Armour itself, these shoes are a “club level cleat” that packs up support and almost perfect ball control. For the former, every part of the interior is cushioned for comfortability. It starts with the cushioned collar. Some have commented on the higher possibility of blisters in these shoes, largely due to the shape and low opening of the heel. It is actually one of the parts that’s embedded with additional cushioning to help alleviate this issue. Everywhere else, the soft feel is achieved through the die-cut sockliner that softens the touch of the inner material all over the feet. The overall cushion makes the laces more reliable. You can tie them up as tight as you need over the forefoot. As long as they don’t move around inside, the cushions won’t hurt the feet. For the latter, which is ball control, it’s mainly the synthetic upper that makes it possible. Since it is extremely lightweight, it enables your kid to make quick moves. They don’t have to bear such heavy weight while they’re kicking and running. The conical studs also do the same. It helps them accelerate and change directions quickly on the field without having to build momentum at first. With the focus on the forefoot, the position of the studs make the cleats more suited to strikers. The total weight of the shoes, while it depends on the size or for whose age group it is for, is generally 9 oz. This gets the kids accustomed to the usual weight of soccer cleats that are the same weight for adult players. Being firm ground cleats, these are the most versatile in terms of the surfaces and fields they are durable enough to play on. That, and the variety of features we’ve just mentioned, makes this a good fit for savvy parents and young players on the way to serious play. The Under Armour ClutchFit Force 3.0 resolves the fit as it says so on the name, which is one of the biggest problems in youth soccer cleats. That alone makes it the best choice for the money. ​Built for ​momentum and ​agility of the rising player. ​Diadora may not be as popular as the first two brands we’ve already reviewed, but if you look through the same shopping sites those two are sold in, Diadora actually stands in the same category. In the realm of youth soccer cleats at least, Diadora can go head to head with the big sports brands. The​ Diadora Maracana MD Soccer Shoe for one, has been said to be a “hard-to-find quality kids’ athletic shoes” that surpasses even those from bigger names and more popular brands. What is shocking about these shoes is the quality for the price. The Diadora Maracana MD is made with full grain leather. This is the most recommended kind for cleats. They don’t punch a hole through parents’ wallets either. They’re not cheap in the truest sense of the word, but they’re the best type of material and quality you’ll get for the money. Two of the qualities the Maracana MD possess are consistency and reliability. The shoes are true to size. Getting it half or one size up will depend on you or your kid. Generally, it stays true to what the size says it is measured as. It also expands and molds to the kid’s feet the longer you own it. These shoes can help them improve their performance. In terms of fit, the laces do help but it’s the tie system that makes them more kid-friendly. The shoes have an elastic band that wraps around the cleat and straps the laces under the cleat. This holds the laces tightly and prevents the laces from dangling on the sides. Kids are all too prone to accidents from unconsciously tripping on untied laces. This feature ensures it won’t happen on the field or anywhere they wear the cleats. This might not be the most attractive pair of cleats. But, they incorporate classic features that have already caught our eyes long before. We like the fold over tongue, the ridges on the upper, and playful and kid-appropriate circular studs. We can’t promote these shoes enough, because it seems to check off every good thing we can find in youth soccer cleats. This includes good fit, reliable laces, traditional design, and generally okay in performance. This is the kind of soccer cleats that you will want to repurchase after your kid outgrows the first pair. 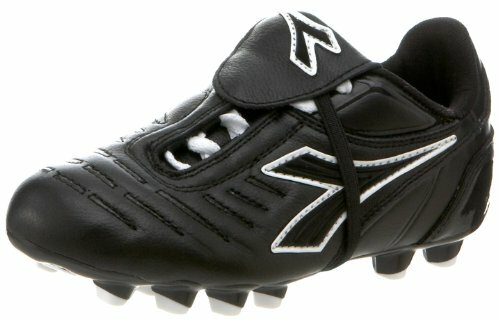 ​Youth soccer cleats are very versatile in that they are usually suitable for both girls and boys. The​ adidas Performance Kids’ Goletto VI J Firm Ground Soccer Cleats seems to be taking advantage of this unisex feature the most. On paper, they’re a bestseller for boys. But, with the overall appearance, they may just be the best cleats for girls. The bright pink and neon green accents against the black shoe makes a statement of fashion and style at first look. It has a classic athletic look overall when juxtaposed with the three thick stripes that grace every pair of Adidas shoes. What might make this more suitable to girls is that the sizes run smaller, which may mean they’re just true to size for the girls. These may be considered the counterpart of the Nemeziz Messi. It may not be as famous as the first pair we’ve featured. We think the Goletto VI J is also one of the bestsellers from the brand, with a similar model made for adult men and women as well. This one is made of synthetic leather, almost the same as the quality of the Diadora pair. It may not be as soft as natural leather, but it still tries to imitate the quality of the original, and it doesn’t fail in doing so. It might even be more durable because it’s made with synthetic material but adopts the adaptive nature of leather. The synthetic sole also ensures it keeps your little player grounded and stabilized on the field. From looks alone, this one proves itself as belonging to the most coveted athletic shoes. This would surely pass the standards of kids who have strong preferences that are based on style or design. ​Much like Diadora, Vizari is a brand that’s lesser known than Adidas or Under Armour, but it stands out when it comes to youth soccer cleats. Many models from them are parents’ favorites and for good reason. The ​Vizari Unisex Stealth FG Soccer Shoe is one example. Like the last one, this model is also one of the most attractive among this list of soccer cleats. The dual color cleat is covered with design that looks intimidating as if it’s made for a professional setting. This would be a good pick for kids who may need to gain some confidence on the field. For its functional features though, it’s best for speed and durability. The lightweight cleat gives your kid the opportunity to surpass other players and act quicker than their eyes can see. With the complementary skills, your kid can not only outrun them but also outsmart his or her opponents. The upper construction is the same as others with its texturized, laced up look. It provides with good ball touch. However, the good fit on the interior – from the snug collar on the ankle to the cushioned footbed – is what makes the comfort last as long as training hours and more so 90-minute game times. For durability, the shoes are equipped with an anti-stretch lining. The synthetic material may be less tolerant of growing feet. But, this feature really ensures it won’t stretch to the point of breaking. This is especially true for the forefoot. The rubber outsole is well stitched to the upper, reducing the risk of the front opening up as your kid’s toes penetrate it from the inside. As a firm ground soccer cleat, this will do in most soccer fields, from artificial grounds to natural grass. ​Kids, especially complete beginners in soccer, may still be allowed to play even if they don’t wear soccer cleats. Regular running shoes may be enough as some soccer cleats, even for adults, also come in that style. These would not have studs but have that same bulky construction. However, if you want to start your kid early on being the best in the game, soccer cleats can help them develop soccer skills as second instincts. This is true for very young kids. ​One practical tip you can use to maximize the purchase of youth soccer cleats is to choose shoes that are a bit on the loose end. You’re probably doing this with all the other shoes your kid has. You can do the same with youth soccer cleats even though they have a feel requirement that specifies a snug fit. For compromise, let your young player wear an extra pair of socks until his or her feet grow a little more to fill in the rest of the gap in the shoes you’ve allotted for it. The only risk this might pose is the constant adaptation your kid will have to do in the changes in the feel of his or her footwear. For kids, that’s not big of a deal especially if they’re not yet serious athletes. 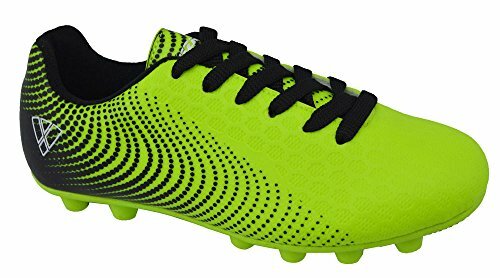 ​For all kids, you want to ensure their soccer cleats fit comfortability, while also fulfilling all the other regular expectations from the shoes. Though they’re rare cases, there’s still a possibility of worse effects of poorly-fitted soccer cleats. It can result in foot deformities in the long run. Soccer cleats have a standard of their own in the realm of sports shoes, but within their own world, soccer cleats are fairly universal. You can refer to the same qualities in adult soccer cleats for your kids’ boot. However, there are certain features you might want to look for in the youth versions that will suit them better and save you money as well. ​Soccer cleats made for youth players will be sized differently than soccer cleats for adults. They’re a bit more difficult to shop for as you can never know how the shoes actually feel. Your kid won’t be able to tell you if it’s the right fit. They can just tell when something’s not right or if something is hurting. In this case, it’s advisable not to measure the way you usually do with their casual shoes: inserting a finger on the heel or pressing on the big toe. The former will mean their heels won’t be flat to the back (it’s important, as we’ll discuss in later sections) and the latter will just make them curl their toes, giving an inaccurate measure of the gap between the toes and the shoe. However, life is somehow made easier because children’s sizes are common among many kids as their foot are still growing. You’re bound to find a kids’ size that fits them right, and it’s also usually indicated if the cleats are for a certain age group. Children grow out of their athletic shoes in varied time intervals, but most commonly, it’s multiple times a year. This will dent your budget. With that frequency, you won’t even get the value of your money back before you have to replace the shoes. This is why some room to grow is important in youth soccer shoes, even if it goes against the general rule for how soccer cleats should fit – snug and exact to the feet. To be safe in your choice without doing the two methods mentioned above, you can measure the length of your kid’s feet. Then, the shoes should exceed that length by at least 10 millimeters. Ideally, there should be space the length of just a half inch between your kid’s big toe and the front inner material. That being said, it’s still important that your kid’s feet don’t slide towards the front. If your kid’s heels don’t fit snugly, and by that we mean they’re flat against the inner heels of the shoes, it’s going to slide out of the shoe as they walk or run. Simultaneously, they’re going to chafe against the material. If you’re familiar with how soccer cleats in general should fit at all, this is a sign that the shoes aren’t the right size or they’re simply not the right fit for your kid’s feet. This will also increase the likelihood that your kid will get blisters, which is a big no if you want them to continue playing their best performance. Despite having extra space on the toes, youth soccer cleats should still ensure a snug fit everywhere else. We’ve already mentioned the importance of a snug heel but you can’t really achieve that when the forefoot is not snug to the upper. It can’t be completely close to the skin because then it wouldn’t be proportional to the wiggle-room on the toes. By the time your kid’s feet fill that space up, the forefoot will be too tight. To make up for this contrast, longer laces will help with keeping the upper closest to the feet. With longer laces, you can loop them twice around the topmost eyelet on the soccer cleats to make them tighter as you wait for your kid’s feet to grow bigger. Then, he can wear the shoes as normal. This makes the cleats last your kid two seasons, including room for growth spurts. ​As much as the outer part directly controls the tightness of soccer cleats, what’s inside can also contribute to better fit. Youth soccer cleats are so much better than others of its kind when they have an inner sock liner. It promotes a snug feel and prevents your kid’s feet from sliding front and back inside the shoes. As an additional perk, sock liners also act like real separate socks in terms of moisture management. Kids sweat a lot and their feet are not an exception. Sock liners handle this for you and prevents the development of bad odors and fungi. ​There are only really two types of material that you can find soccer cleats in: leather and synthetic. You may find that some youth soccer cleats will be made of other materials like canvas, but you won’t see that from the big trusted brands. The first two are usually what’s recommended and what’s usual in the market. It’s the same with cleats for adults and cleats for the youth in terms of advantages and disadvantages. For adults, that decision may depend on the player’s style of play or preference in long-term fit. They have the benefit of fully-grown feet that won’t change in shape, form, or size. However, for kids, some parents’ choices might be limited in a lot of aspects because of the ever-changing size and form of kids’ feet. Leather and synthetic each have qualities that are specific to how they can benefit youth players. Parents, you might want to weigh in on the pros and cons of the two to decide the best material for your kid’s next soccer cleats. ​Leather in the world of soccer cleats are considered high quality. It’s probably on the top level in the ranking of soccer cleat materials. What might entice parents to this one is the adaptability of the shoes. Natural leather, especially the kangaroo variation, have very soft fibers that can mold itself unto your kid’s feet. This is beneficial if your kid’s feet grow at a regular pace. You can buy a pair that fits fairly snug at first but expand and get re-transformed as they grow more. The material is also proven to have the best qualities in terms of ball touch and accuracy, so this is good for your young player to develop his playing technique and style early on. However, it comes with disadvantages too such as the very steep price and the possibility of earlier retirement of the shoes if your kid’s feet grow significantly very quickly. ​Synthetic is a much more eligible choice for young kids from the point of view of practicality but not so much in performance. From the spectrum of okay to good to great, it falls on okay to good but rarely reaches great. This is not to say synthetic cleats are negative. In fact, it’s the opposite. Very few kids are instantly on the professional league level to require an impeccable soccer cleat at their age. That is why synthetic soccer cleats are ideal for a lot of kids. They save a lot of bucks for their parents as well. Synthetic soccer cleats are not devoid of the qualities that improve a player’s skill level, but you can buy them with a little more wiggle room so they last longer that one season. With the technology nowadays, synthetic also tries to aim for the quality of natural materials to be more adaptive to a player’s feet and playing style, be more breathable and comfortable. ​In choosing soccer cleats, it’s sensible to know the type of field you’re going to play on and what kind of shoes will be best for that surface. There are plenty of field types in soccer: firm ground, artificial grass, hard ground, indoor fields, and artificial turf. For kids, their playing locations may even have school carpet or rough street grounds for surfaces. It’s important to match the soccer shoe to field type in any case. This will aid them in improving and developing better skills for the sport. However, for kids who are just getting into it, the locations and field types may vary. Ultimately, what most guides will recommend, even for adults with the same situation, are firm ground cleats. ​The best asset of firm ground cleats that puts them ahead of other soccer shoes is versatility. Some others are specific in the playing fields that they are compatible with, but firm ground cleats are good for almost every surface soccer is played on. They’re usually made with hard plastic that is molded to the outsole of the shoes permanently, which provides traction and stability. They come with cone studs, which are highly supportive for newbie players like kids, or are made flat for indoor fields that require such a style. Unlike soccer cleats for adults, youth soccer cleats shouldn’t feel like they need to be broken in to fit right. Kids’ feet are constantly growing. It’s only right that they should be provided comfort right away instead of waiting it out a few times of wear because there’s no telling when they’re going to need to replace the boot. If they need to break the shoes in, the timing of the two might coincide, in which case your child wouldn’t have been able to reap the benefits of the shoes in their prime shape. ​Parents know the pain of looking at the price of soccer cleats knowing your kids would outgrow them in just a few months. ​It doesn’t have to be such a kick in the gut to shop for youth soccer cleats. If you’re training a future NFL athlete, it’s going to be worth all the money in the world to get them the best. However, there are also youth soccer cleats that can make the money work for you by providing the best comfort and experience for your kids. 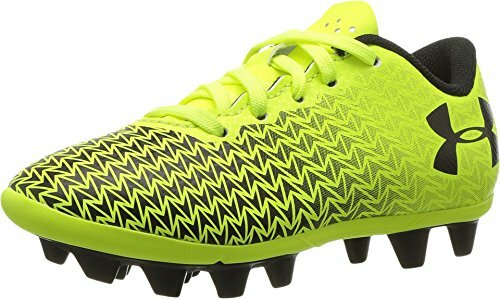 ​We could end with the conclusion that youth soccer cleats are generally hard and hopeless to shop for. It’s true to some extent. But, we won’t. These guides and reviews are here to prove otherwise. With the right information, you can choose the best soccer cleats that won’t send your child home with bruises or losses.